Building a house an hour!!! Homes came with a maintenance manual!!!! 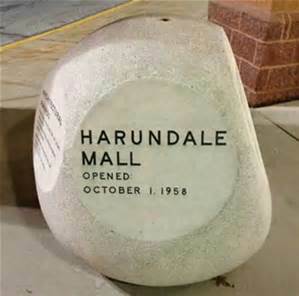 “Harundale Mall” followed by “Opened October 1, 1958.” “Owners and Developers” followed by “Community Research and Development, Inc.” “Architects” followed by “Rogers, Taliaferro, and Lamb.” “Builders” followed by “Arundeltown Inc.” One side listed several architectural awards. 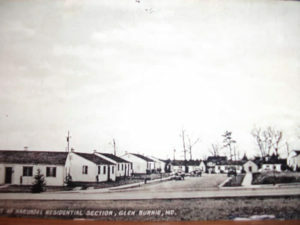 One side provided a history of the site including information about Native Americans, the Glenn family, and military usage. Other features in the mall were as follows: A water fountain was located next to the rock and a set of stairs to the second floor offices allowed mall-goers to watch the water from the fountain “top out” and fall back into the fountain’s pool below. Mall-goers could also throw coins into the fountain’s pool from the stairs. In addition to the mall offices, a “community room”, and rest rooms, the second floor had an entrance to the second floor of the Hochschild Kohn’s Department Store. Hochschild Kohn’s was the only store in the mall with two stories. However, in each store there was usually a store room with an upstairs area that was used as a stock or storage area. The mall was quite known for flooding in heavy rains, due to the original “flat” roof. Many merchants can attest to cleaning water from these storage areas when it rained. 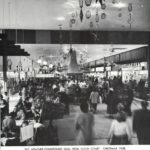 At one point in the mall’s history, a Horn and Horn Smorgasbord Cafeteria operated on the second floor as well. This had originally opened as a “Hochschild’s Tea Room” cafe. Horn and Horn stayed opened at this location until 1989. The second floor “community room” could be rented for weddings and provided a place for public meetings. For many years, on the opposite end of the mall from the “rock,” large cages featured talking Myna birds. 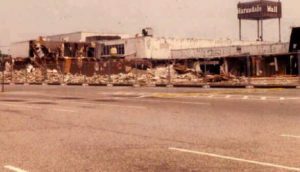 Pre-dating the Harundale Mall was a strip shopping center in the south eastern corner of the mall property. This strip center originally included an Eddie’s Super Market and a White Coffee Pot Restaurant. When Harundale Mall opened, it had two major anchors that were Hochschild Kohn’s and Food Fair. It also had three other smaller anchors that were Read’s Drug Store (with a soda fountain), S.S. Kresge five and dime store, and G.C. Murphy five and dime store. The mall had several exclusive women’s and men’s shops, including Lerner New York, Oppenheim Collins, and Raymond’s. 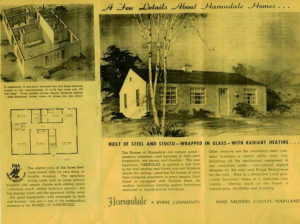 Harundale also had about 50 other smaller tenants and food establishments. 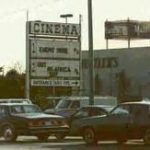 One of the more noteworthy food establishments was an eatery towards the center of Harundale Mall which for many years was the Italian Delight Restaurant. This restaurant featured a “below grade” floor. As a result, the workers at this establishment ended up looking much shorter than the average mall-goer standing “at grade”. The mall opened to much fanfare in 1958. 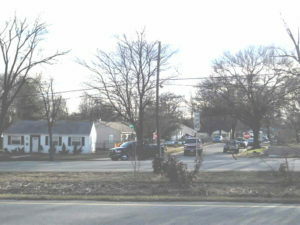 Traffic was backed up for two miles on Maryland Route 2 just to get on the parking lot on opening day. This was truly something people had never seen before. Several politicians (including John F. Kennedy, then junior Senator from Massachusetts) were even present for the opening day. Harundale Mall was a major shopping destination for over 30 years.